On a warm spring afternoon I meet John Freeman Gill on the Lower East Side for a little gargoyle hunting. Gill is the author of The Gargoyle Hunters, a novel set in 1970s New York City about a boy and his father who rescue ornamental stonework from tenements and other old buildings under demolition. For the father, it's a way to preserve a vanishing city. "The book is completely about the evolving streetscape of New York," says Gill. "The city is constantly destroying itself. Regenerating. It's always been a city in a hurry." Gill's inspiration for the book was a man named Ivan Karp, a self-taught gargoyle hunter who put together a team in the 1950s and led "clandestine raids on demolition sites." It was the time of Urban Renewal when countless tenements were destroyed, taking their decorations with them. Karp saved some 1,500 sculptures and eventually got the Brooklyn Museum to take them in. Since the days of Urban Renewal, housing for low-income people doesn't come with much in the way of beauty or aliveness. Gill and I are standing on Madison Street and Rutgers. On one side are tenements, covered in ornamentation--demon faces, cherubs, sea monsters, nudes. Their first floors are full of businesses like bodegas and Chinese restaurants. The sidewalk is busy. Across the street are the public housing towers that came out of the 1950s. They are dull and drab. Little life occurs at their feet. 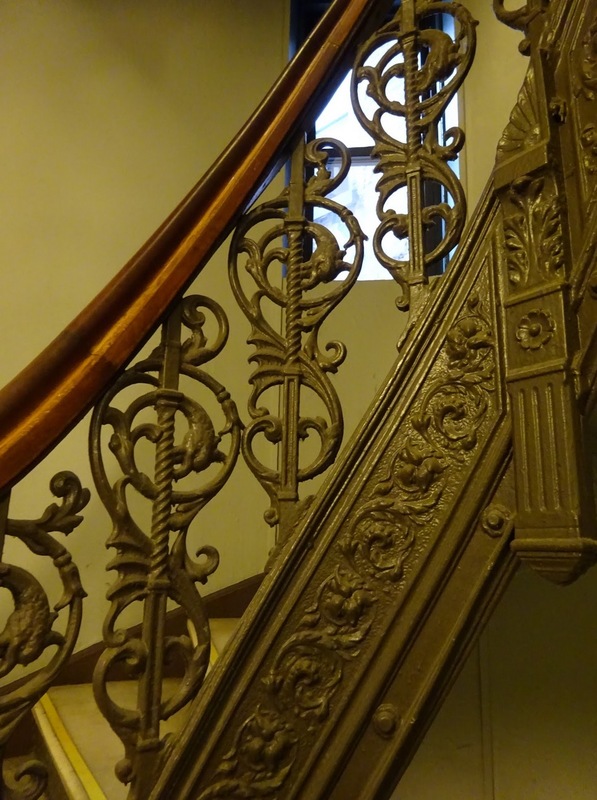 Decorating tenements wasn't an act of landlord generosity--it was a marketing tool, says Gill. "The goal was not to create beauty, it was just to dress up shabby housing for the poor. It makes it look fancier than it is." Still, the decorations made for a livelier streetscape, one much less homogeneous than what we have today. "You can feel the imprint of the individual in the object," says Gill. Then he points across the street at the housing projects. "These monstrosities are just boxes for housing low-income humans." 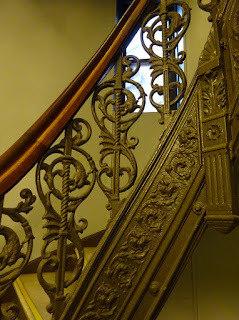 On the tenements, the ornaments generally come in two types: terracotta and stone. The terracotta pieces, Gill explains, were produced in a factory. The stone pieces were carved. How to tell the difference? Terracotta works tend to be sharper, while stone pieces are more likely worn away by time. Many men among the nineteenth-century immigrants who came to New York were stone carvers. "They carved the monuments, the statues and gravestones, of Europe," says Gill, and then they carved the monuments on the faces of the tenements built for them to live in. "These gifted carvers are decorating their own housing. " The architects didn't specify on the blueprints what decorations they wanted. "They'd just write 'carving,' and then the foreman might say 'Give me a Mary' or 'Give me a Moses,'" generic terms for a type of male and female face. "So the carver would do what he wanted. They'd carve each other's faces. Or the cop, the barkeep, or a girlfriend. So when you look up at these buildings, you're seeing the New Yorkers of the late nineteenth century looking back at you." This stuff is in Gill's DNA. His mother, Jill Gill, was a gargoyle hunter. A self-taught artist, she painted street scenes as they were vanishing, and when she came across a forsaken ornament from a demolished tenement, she'd load it into her baby's stroller and cart it home. "My mother was obsessed about this," says Gill, but he didn't pay much attention to it in his youth. It wasn't until he started writing for the New York Times' City Section that he "Gravitated toward historic preservation." Now, he says, "The ephemeral nature of New York's cityscape is my eternal fascination." He wants to make it a fascination for his readers, too. "New Yorkers never look up," says Gill. And there is so much they're missing. The carvers of the past "incised their imagination onto our streetscape. They turned the streets of New York into marvelous public art galleries." After you read The Gargoyle Hunters, you might find yourself looking up more often. B.B. 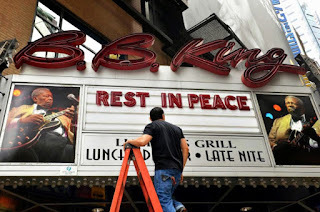 King's blues club on 42nd Street is closing at the end of April. "Despite many sold out shows, the location's rent escalated to an unsustainable level, leaving us no choice but to close our doors. 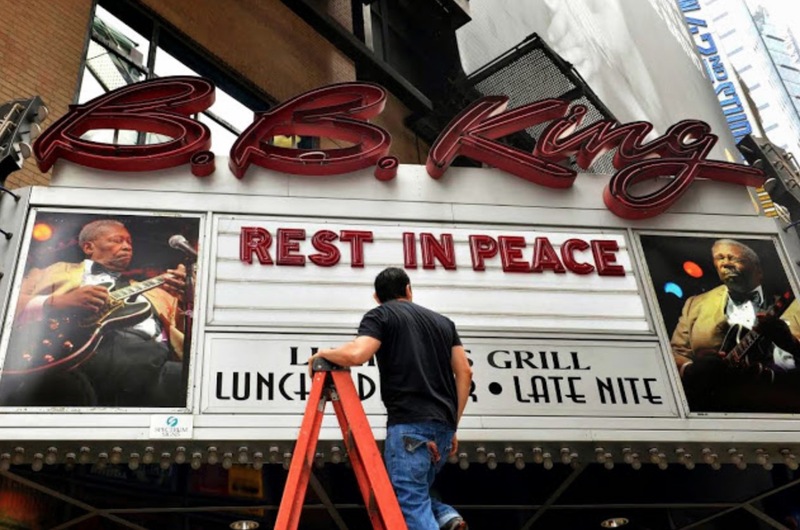 Unfortunately this has become a growing trend in New York City, with other iconic music venues and businesses falling victim to opportunistic property owners. 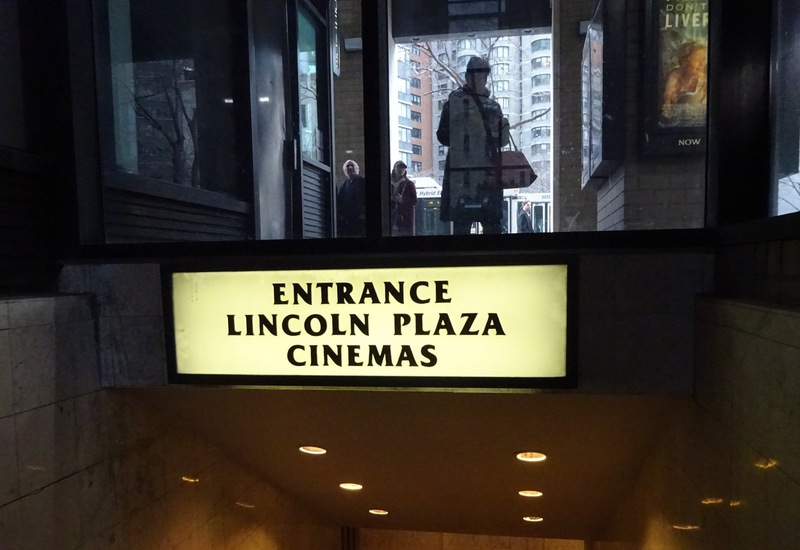 This venue's legacy extends much further than the stage, playing a role in Times Square's revitalization two decades ago. It is a shame that wasn't taken into consideration regarding its future in the area." As they say, B.B. King's played a role in the redevelopment of 42nd Street, helping to change it from honky-tonk to tourist-friendly. In her definitive book on the topic, Times Square Roulette, Lynn Sagalyn notes B.B. King's as one of the "rush of commercial developments" defining the New 42nd Street. B.B. King Blues Club & Grill, she writes, brought "upscale style compared to its decade-old venue in Greenwich Village [The Blue Note]; if successful, the brand-hopeful will expand the concept to other cities." When they moved to 42nd St. in 1999, the Times listed it among many other theme restaurants, noting, "The revival of Times Square has attracted everything from a wax museum and a Warner Brothers store to a restaurant for wrestling fans. But until now no new nightclubs have announced plans to move to the district, once the epicenter of night life in New York." 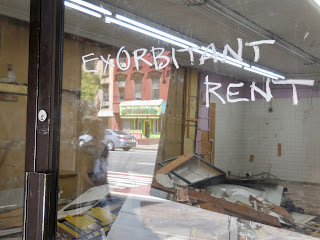 It's yet another case of hyper-gentrification eating its own. Still, B.B. King's was locally grown and it was loved by many New Yorkers--who would not be caught dead on the New 42nd Street except to see a show at B.B. King's. 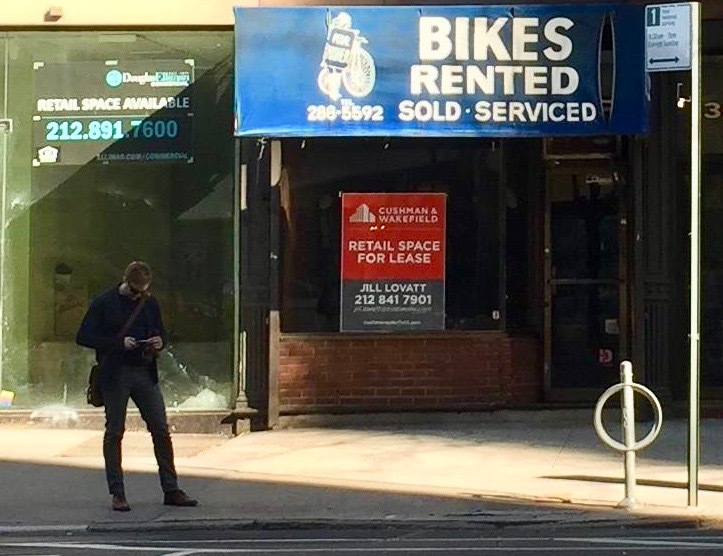 It's also yet another case of hiked rent pushing out a successful business. While people like Deputy Mayor Alicia Glen want to say that the city should not be protecting businesses because “there are some small businesses that are probably going to just fail because they’re not very good businesses," New Yorkers know that good businesses "fail" every day because their landlords decide to force them out. The club's owners are currently looking for a new location in Manhattan. Last week, NY Yimby reported that permits have been filed to replace the historic St. Denis building with a new 12-story office building. The St. Denis is 165 years old, boasts an impressive history (Alexander Graham Bell, Ulysses S. Grant, W.E.B. Du Bois, and lots of communists) and was recently emptied of hundreds of small business people (myself included). You can read all about it here. For those who hoped the St. Denis would not be demolished, this doesn't look good. But a look at the permits reveals an important note: "Development Challenge Process is pending Zoning Approval. For any issues, please contact the relevant borough office." Does that mean there is hope to save this building? "The bottom line is we are working very hard to get zoning or landmark protections for the University Place, Broadway, and 3rd and 4th Avenue corridors, which the Mayor continues to oppose. We are using the leverage provided by his desire to get approval of his 14th Street tech hub, which requires City Council approval. We are not there yet, but the wheels are turning. What does this mean in terms of the St. Denis site? The short answer is no one can say yet. 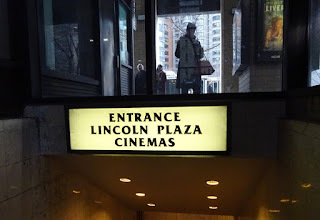 It is still very much possible for the city to adopt zoning or landmark protections that include that site and would affect what can happen there moving forward – either limiting the size and height of new development, or preventing demolition or significant alteration of the existing building. But that depends upon timing – of when such measures would be adopted, and when demolition or development on the site might begin." GVSHP asks that you send these quick and easy pre-written letters to the Mayor, the Borough President, and Councilmember Carlina Rivera. Add a note to say that the St. Denis should be protected from total demolition. You can include this history to argue for protection. Reader Bill Marden writes in to say that the Pedal Pusher Bike Shop on Second Avenue between 68th & 69th has closed. "Store had been in current location for nearly 50 years. 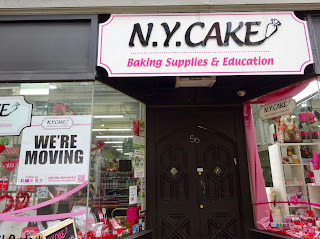 Suddenly closed in early March 2018. 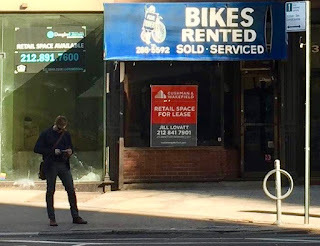 A nearby dry cleaner told me that the bike shop closed due to a recent rent increase (big surprise). 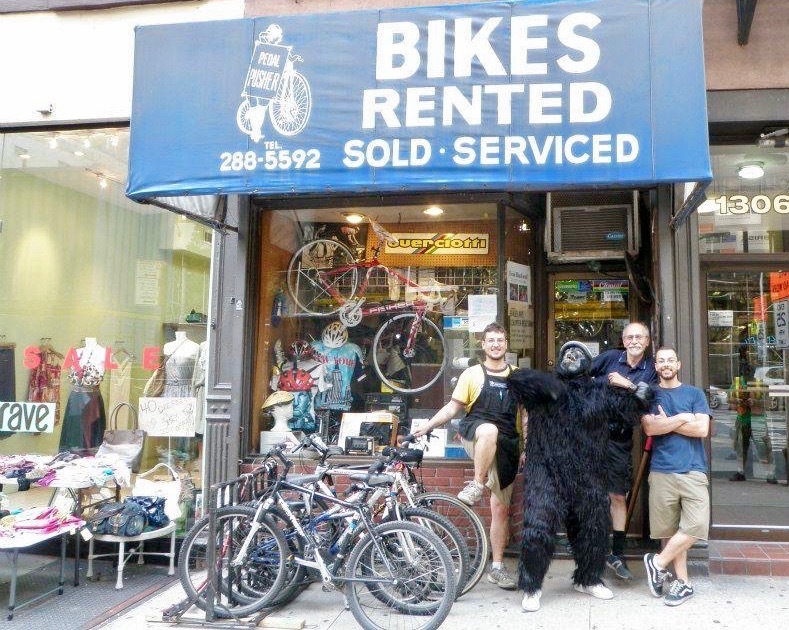 Besides selling bikes, the store was well known for its bike rentals to groups and its repair services. They'll be missed." The clothing shop next door is sitting empty, too. More high-rent blight. 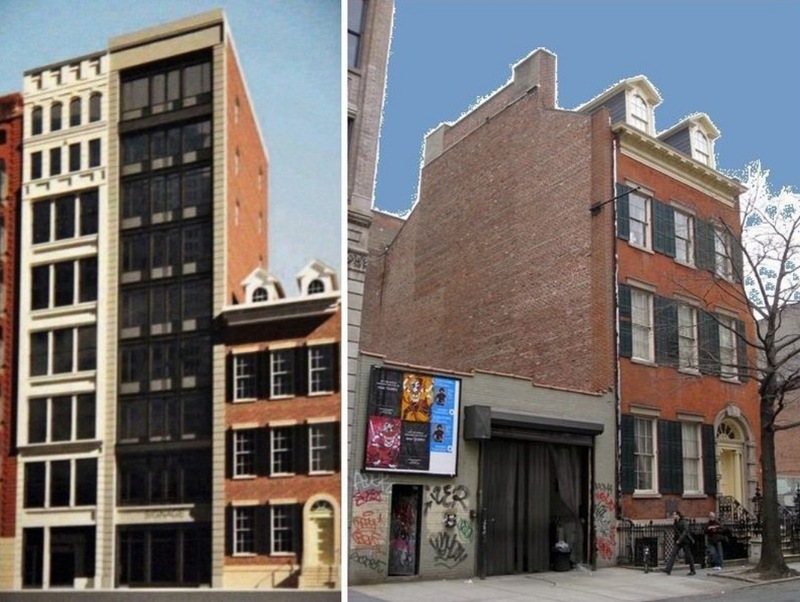 The East Village/Bowery is slated for yet another luxury boutique hotel, and this time the historic Merchant's House Museum on East 4th Street is under threat. They have issued a call to arms, with instructions on how you can help. 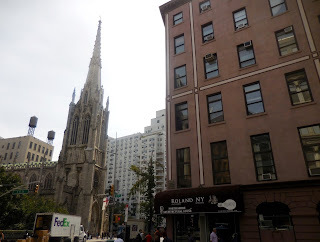 Not only that, but the hotel would mean goodbye to the little one-story garage where the neighborhood's hot dog vendors store their carts -- another small piece of New York's character. The proposed hotel, at 100 feet tall, is in violation of the City's Zoning Resolution. The developer's application for a zoning text amendment – "spot zoning" – would in effect rewrite the law for a series of waivers that benefit the developer alone. At eight stories, the proposed hotel towers over the 4 ½ story Merchant’s House (completely blocking sunlight to our rear garden) and is grossly incompatible with the surrounding buildings and neighborhood in the Noho Historic District. If the Planning Commission approves the application, the developer would be able to proceed – and our fragile, 186-year-old building would suffer catastrophic structural damage and likely collapse during construction. The Merchant's House is fighting for its survival. Wednesday, April 11, 6:30 p.m. It is VITAL that we fill the room with supporters. PLEASE attend! The Merchant’s House is New York City’s only family home preserved intact, inside and out, from the 19th century. It is irreplaceable. 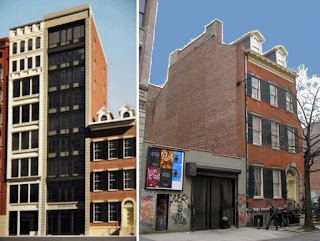 If the Merchant’s House – Manhattan’s first designated landmark in 1965 – can’t be protected, NO New York City landmark will be safe from out-of-control private development. 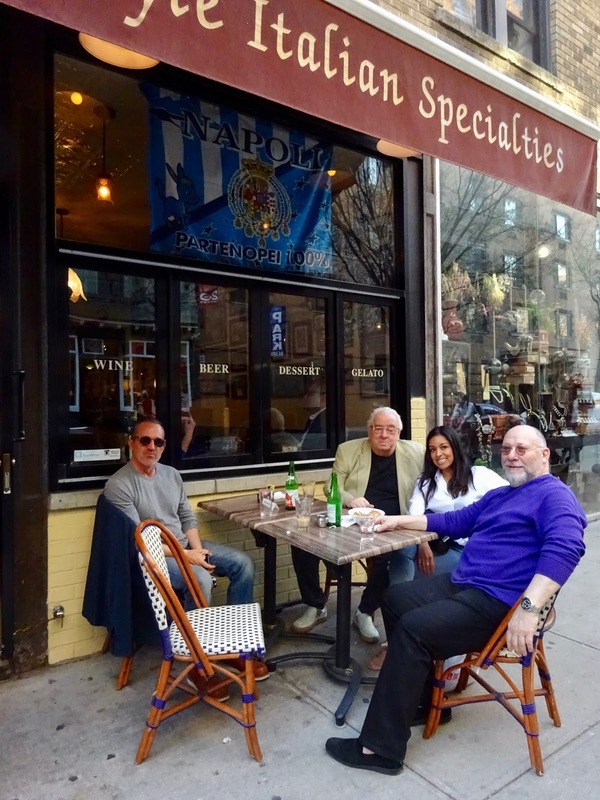 Back in 2014, just before launching #SaveNYC, I put together a wish list for saving the city's mom and pops. The list included, among other things, the Small Business Jobs Survival Act (SBJSA) and a vacancy tax on landlords who keep their commercial spaces empty, creating a problem known as high-rent blight. For years, activists have been pushing for the SBJSA and they've been pushing harder than ever in the past couple of years. 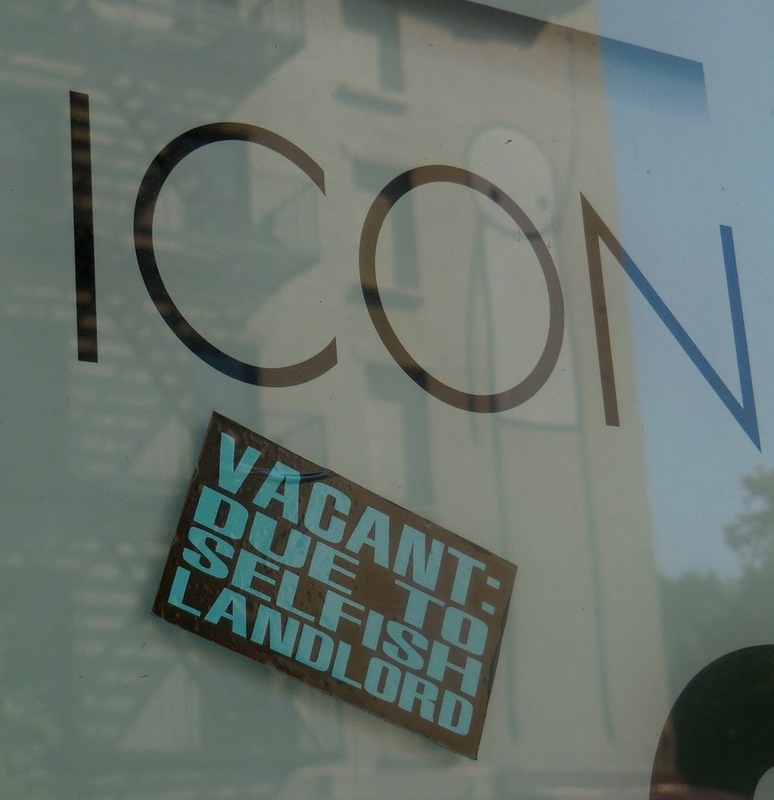 The vacancy tax idea has also picked up steam. 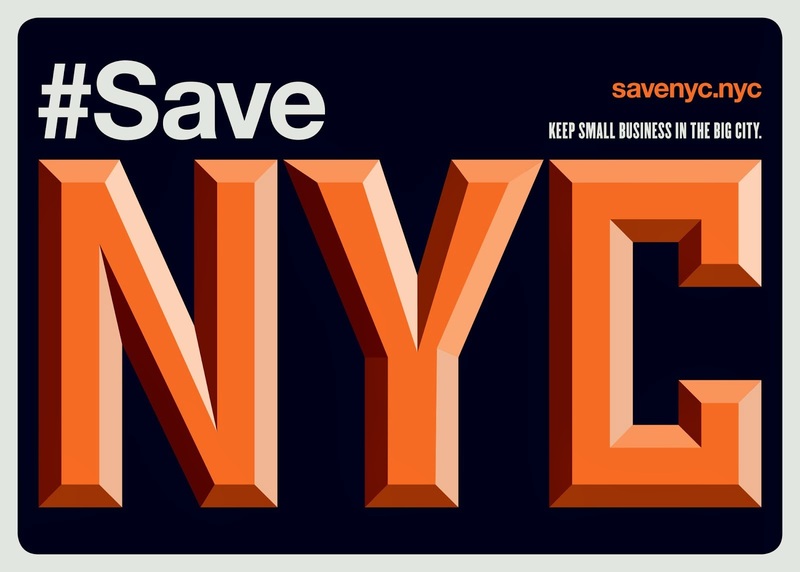 More and more New Yorkers are talking about the small business crisis and the real solutions that can stop it. Talk can lead to change. It seems we have arrived at a critical moment. 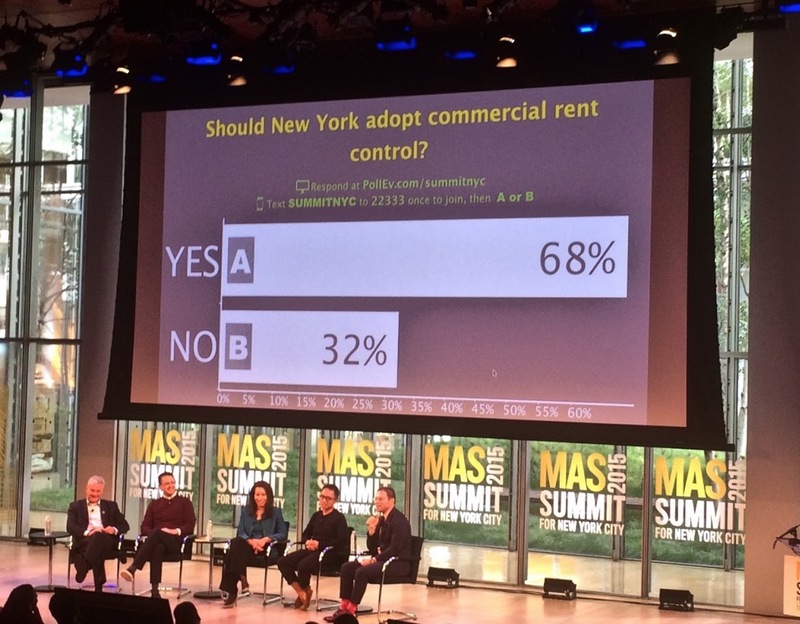 Last week, Mayor de Blasio mentioned the vacancy tax for the first time. On WNYC he said, “I am very interested in fighting for a vacancy fee or a vacancy tax that would penalize landlords who leave their storefronts vacant for long periods of time in neighborhoods because they are looking for some top-dollar rent but they blight neighborhoods by doing it." At the same time, City Councilmember Ydanis Rodriquez has reintroduced the SBJSA. Corey Johnson, the new speaker of the City Council, has pledged to give the bill a public hearing, and supporters hope it will go up for a vote and pass in full force. What does all this mean? It means they are listening. Our voices are getting through. It does not, however, mean that our leaders will do anything more than talk the talk. 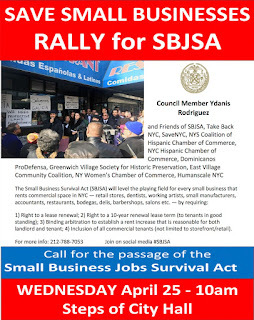 Supporters of the SBJSA are worried that the City Council will kill the SBJSA once again--or rip out its teeth and pass a watered-down version just to end the discussion. But the discussion will not end. As Sharon Woolums wrote in The Villager last week, "The question now is will the S.B.J.S.A. finally get a vote by the full City Council or will the powerful REBNY [Real Estate Board of New York] lobby influence ambitious lawmakers to water it down? Advocates fear a 'REBNY Trojan horse' version of the bill that will not be effective in saving businesses." In Metro last week, Marni Halasa agreed, writing, "If the SBJSA is passed with changes that water down the bill to worthlessness, this will be the latest example of how City Hall is full of fake progressives serving real estate." Protecting the mom-and-pop shops of this city will require a multi-pronged approach. Once again, we need: (1) The SBJSA, (2) A vacancy tax on high-rent blight, (3) Zoning to control the spread of chain stores, aka formula retail. There's more we can do, but I believe these three together would pack a powerful punch. 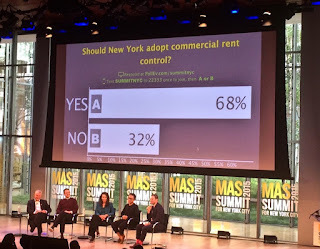 Ultimately, New York needs to bring back commercial rent control, which passed in 1945 and was killed in the 1960s. We can change this city into a place that functions better for the many and not just the wealthiest and most powerful few. We have to keep talking. Many of us have been convinced that "you can't interfere with the free market," but there is no such thing as the free market. It is a fantasy concocted to funnel money from the lower and middle classes to the top. It is meant to make us stop imagining alternatives. When our leaders start echoing back to us the alternatives we have imagined, this is a sign that the tide is beginning to turn. But we have to keep pushing. We cannot be quiet now. - Write to the mayor and ask him to support the SBJSA and fight in Albany for the vacancy tax. Here's a quick form you can fill out in just a few easy steps.